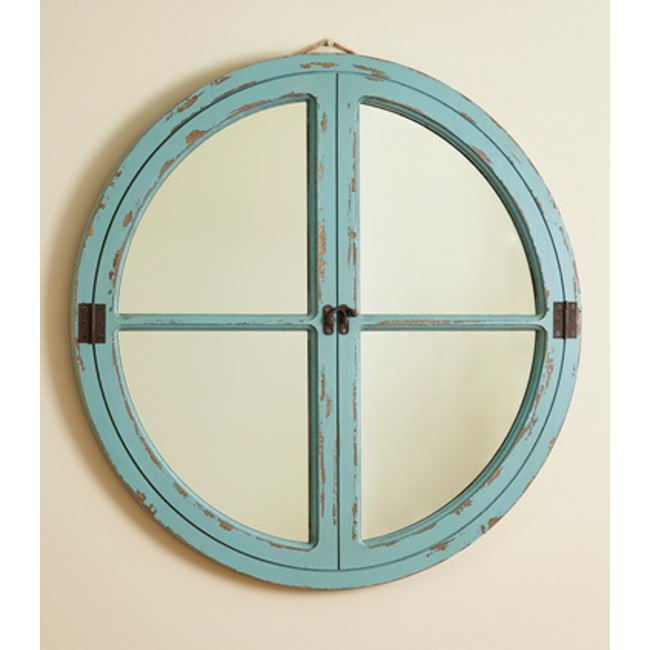 Add that perfect coastal finishing touch to your beach home's decor with the coastal cottage perfect mirror. This beautiful window mirror is framed in a wood weather distressed finish. Design has that beach cottage charm. 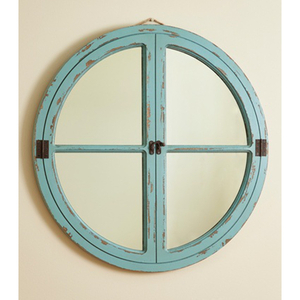 This 27.75 inch round mirror has a fresh unique look that will defiantly compliment your coastal decor in any room. This mirror is gorgeous - just as pictured. It's very well made and a perfect piece for my coastal style decor. The mirror is beautiful and color/finish is exactly how it appears online. We used it over a buffet in our beach house and it looks very rustic. Advantages: Would highly recommend beach decor shop. Needed to change delivery location and they were very helpful in making the change. Disadvantages: It is definitely a distressed finish. I would not choose this mirror if you don't want that look.